It will be the reformers vs. the Machine, chapter 9,203,432. Rep. John Fritchey announces Tuesday that he'd like to leave Springfield and join the Cook County Board. State Rep. John Fritchey (D-Chicago) must really want out out of Springfield. 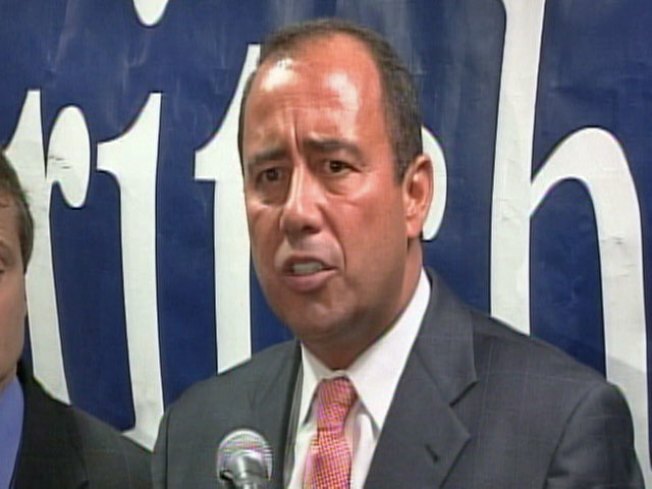 Coming off the heels of his failed congressional bid, he's filed for the Cook County board seat held by the outgoing Forrest Claypool. And he's going to get a name-brand opponent - even if that name has been sullied. Opposing Fritchey: Former Ald. Ted Matlak, whose name rhymes with hack. It will be the reformers (or what passes for them in Illinois) vs. the Machine, chapter 9,203,432. It's not clear yet who is backing Matlak now that Donald Tomczak's patronage army has been dismantled. Fritchey has been a mostly impressive state legislator who was one of the earliest, sharpest, and wittiest voices speaking out against the shenanigans of Rod Blagojevich. He stumbled in his congressional campaign when it appeared he was appealing to Machine forces for help, and his decision to act as if he was Roland Burris's defense attorney during questioning in Springfield was odd, but he retains wide appeal. Matlak came out of the Dan Rostenkowski organization and terrorized residents of the 32nd Ward as their alderman until Scott Waguespack knocked him off in 2007. Matlak has been working as a Realtor ever since, which the Reader once noted was appropriate because "he never met a zoning change he didn't like."